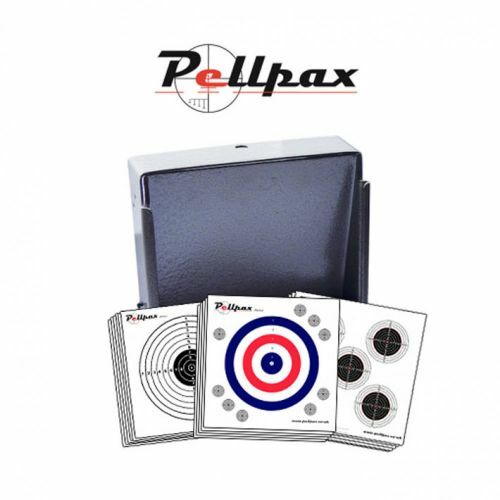 This target set from Pellpax is the perfect addition to any air rifle or pistol and contains everything you need to start shooting. The flat pellet trap is made from a durable alloy that is designed to flatten out pellets on impact, stopping them dead and eliminating ricochets. Also contained within this set are a selection of 14cm Practice Targets, 14cm Match Targets, and 14cm Pistol Targets helping you get better accuracy and allowing you to zero your sights with ease. Add this item to your basket & spend an extra £480.01 to apply for finance.